In this section, we will perform the pig installation. Java Installation - Check whether the Java is installed or not using the following command. 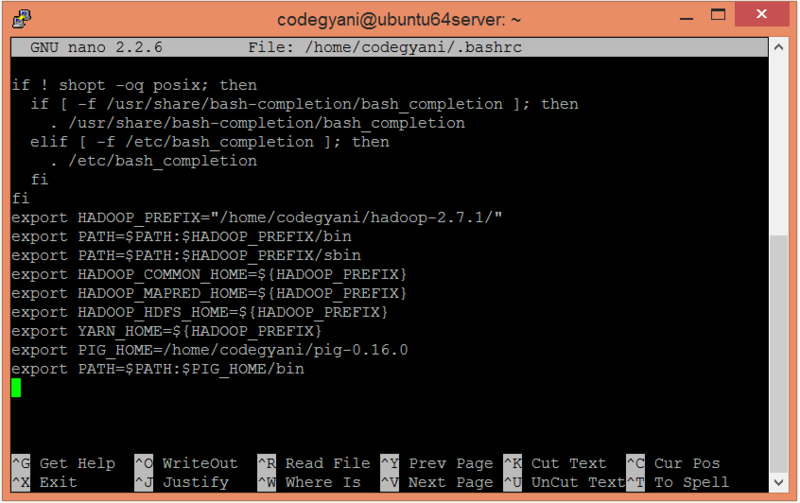 Hadoop Installation - Check whether the Hadoop is installed or not using the following command. Download the Apache Pig tar file. Unzip the downloaded tar file. Now, provide the following PIG_HOME path. Let's start the pig in MapReduce mode.